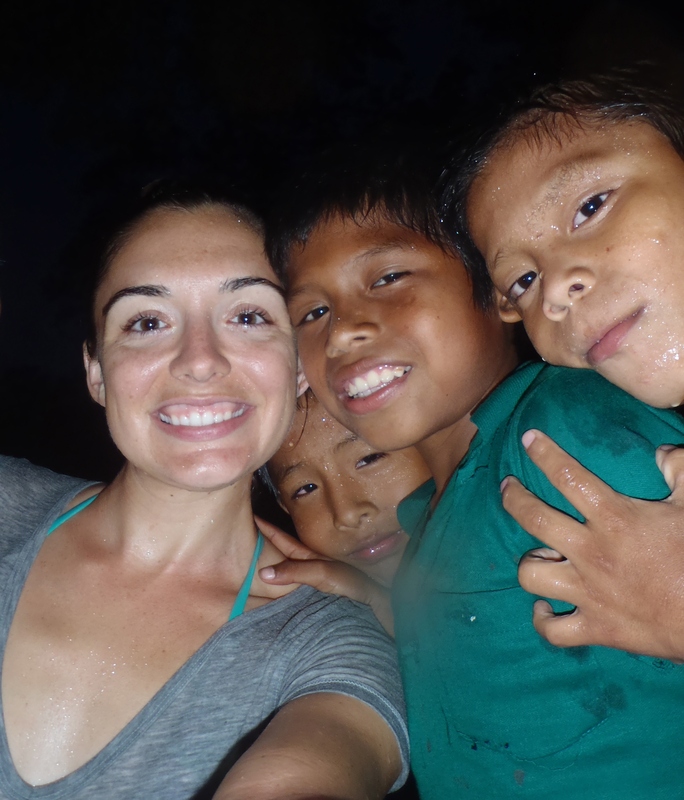 This week we have a blog post from UCI med student Lauren Sims. 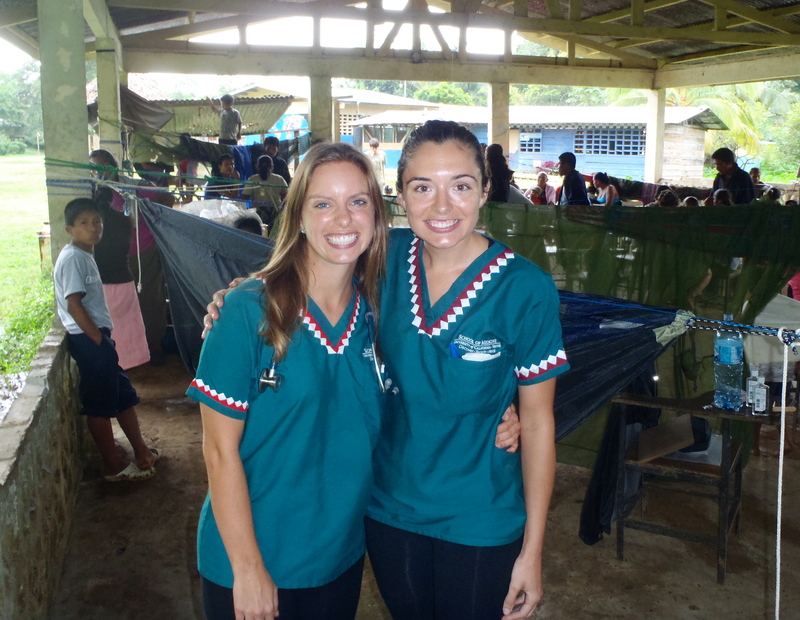 A group of UCI students came to us to work with the parteras (midwives) in some of our communities. In today’s post she talks about some of the patients she saw and what she learned in her time with us. Lauren and fellow UCI Med student Kate Horn working hard during a clinic. At Floating Doctors clinics you are not presented with your typical American patient in a shiny white hospital room or doctors office. You typically find yourself with an indigenous Panamanian Ngobe under a “rancho” (a typical outdoor patio covered meeting place in these communities) sitting in old wooden school desk chairs. 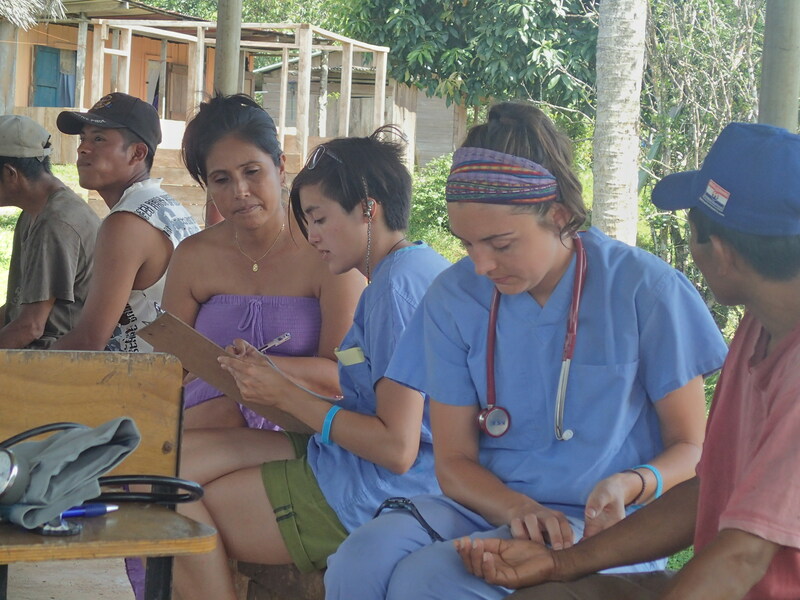 This might be their first encounter with a medical professional.. they might have walked a day or more to be at the clinic… some only speak the traditional “dialecto” of the Ngobe and need a Spanish translator. No matter their circumstance or reason for presenting to the clinic they are all extremely grateful for our presence in their community and in search of an answer to what is ailing them. 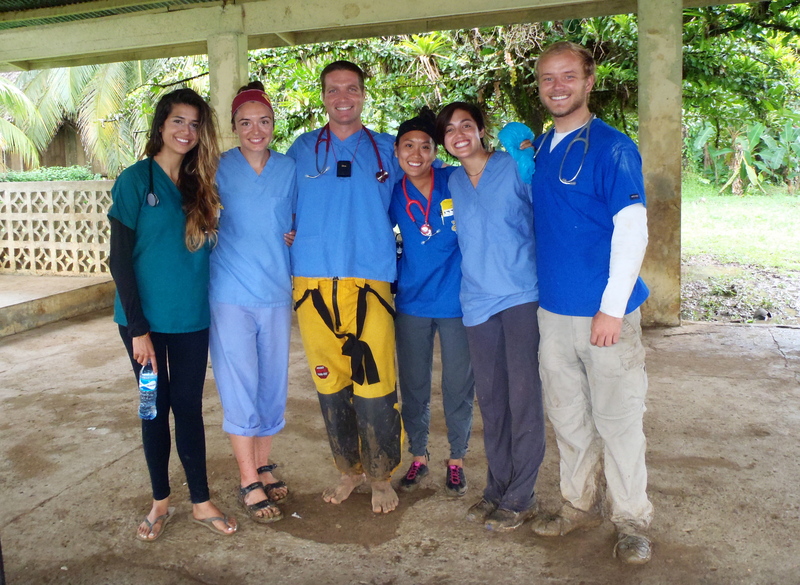 UCI students with Dr. Ben in Quebrada Sal. I encountered some interesting cases. I saw a young child with Leishmeniasis in a remote Panamanian community in the mountains. I performed an ultrasound on an infant who was failing to gain weight in the first few weeks of life for an unknown reason. I saw an older woman with a sixteen year history of hyperthyroidism and severe exopthalmos. I measured a blood pressure of 238/192 in an older gentleman who most likely had an adrenal tumor. I visited a pregnant woman with a history of preeclampsia in her home to do an ultrasound. I saw a child with impetigo and another with Herpes virus that covered the entire right side of his face. I listened to breath sounds of a seven year old with TB. I examined a three year old who most likely had a stroke as an infant and could not use his left foot or left hand or talk. Lauren with some young Nogbe kids. I learned first hand about the barriers of access to health care for these patients. Some were not able to get medications or make it to the hospital because they lacked the funds. Others would have to walk a day, take a boat for a few hours and then a bus to reach a hospital that might not even be able to treat them. Some distrust the health care system because of a previous bad experience or a story about the hospital that quickly spread through their small community. My time with Floating Doctors showed me how the health status of the community members in these remote areas directly reflects the prosperity of the community. They deserve access to health care and I am very grateful for the opportunity to be a part of a medical team that reaches out to these isolated Ngobe communities. The patients I have visited with in Panama as a medical student will forever hold a special place in my heart as I continuing my training and career. Lauren and fellow UCI med student Christy Tabit showing off their newly decorated scrubs.